Chatham House Interior Design is an exclusive Hunter Douglas Dealer. As a dealer we are able to offer customized service to help you find the best blinds for your home or business. Our commitment to product innovation is, and has always been, the focus of our business—providing you the best possible products, while working on the next best thing. 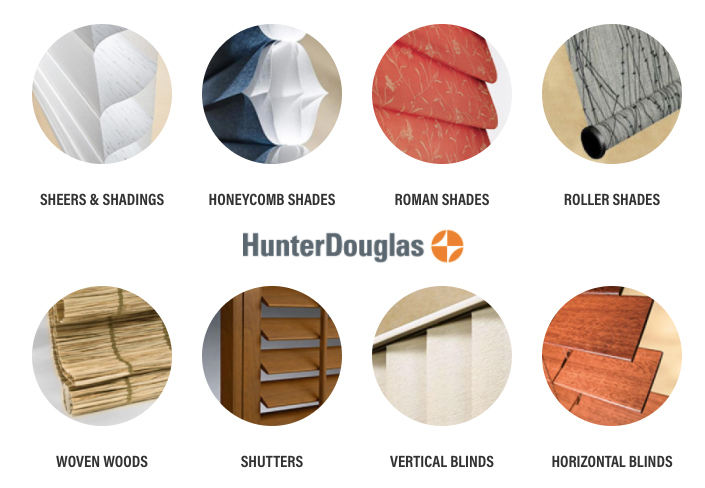 When you walk into a Hunter Douglas dealer's showroom or visit with a shop-at-home dealer you'll get premium service, complete access, and personalized advice. Hunter Douglas dealers expertly answer questions and ensure your custom order is built to your exact specifications. Many dealers also offer professional services to help you choose and install the perfect window fashion. Together, you'll look at inspiration for your room, spend time with the products and get to know the mechanics, textures and materials you like best. Whether you live in Clarkston, Birmingham, Novi, Fenton, Troy, Waterford or anywhere else in Southeast Michigan, Chatham House Interior Design is your perfect Hunter Douglas partner.